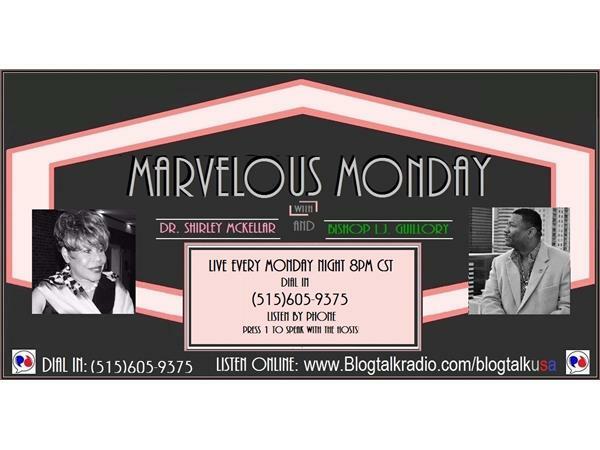 Marvelous Monday with Dr. Shirley McKellar and Bishop L.J. Guillory is always the way to start the week! In the post President Obama future we will have to make some important decisions about how we can best and most effectively work together to influence and guide the direction of our country in a way that makes the lives of American people and families better. It is our civic responsibility to stay informed on the issues, pay close attention to the actions and decisions of our elected officials, and educate ourselves and others about the importance of VOTING in every election! Let's work together toward these shared goals on Marvelous Monday!